According to rules, such notices have to be submitted everyday. The government falls if these notices, which have to be endorsed by at least 50 MPs, are passed in the House. "The government has the numbers and any no-confidence motion will not succeed ... The government has majority. So, the question of any no-confidence motion succeeding does not arise," Parliamentary Affairs Minister Kamal Nath told reporters. The minister also ruled out the government advancing the 2014 Lok Sabha polls scheduled April-May because of this situation. "There is some speculation that elections may be held earlier. This is absolutely wrong. The UPA government will complete its full term and elections will be held as per schedule in May," Kamal Nath said. Six Congress MPs from Andhra Pradesh's Seemandhra region, four of the Telugu Desam Party and two belonging to the YSR Congress had submitted the no-confidence motions Tuesday and Wednesday in an attempt to embarrass the Congress. The Andhra Pradesh MPs are against the government's move to create a separate Telangana state by bifurcating Andhra Pradesh. The cabinet has approved the bifurcation plan and it now has to be sent to the state assembly by the President. Home Minister Sushilkumar Shinde Tuesday said the Congress would take disciplinary action against its MPs. 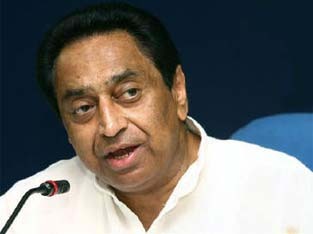 "It is definitely weird but they are pained," Kamal Nath said of the MPs. Congress spokesperson P. C. Chacko said political parties were not in a mood to support a no-confidence motion just a few months before the next general elections.